Q: Do we need so many buildings? PATCHAY.COM finds out this week some of the most interesting planned/visionised skyscrapers and urban centres in downtown Kuala Lumpur. We have decided to include several artistic renderings, but these may not be an accurate representation of the final concept. Architecturally inspired. 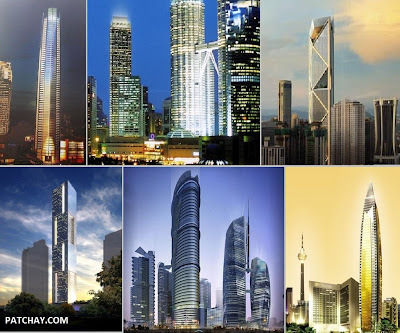 These supertall buildings were planned to change KL skyline. Three out of six have started and they are: Lot C KLCC, Ilham Baru Tower, both Felda and Naza Towers at Platinum Park KLCC. It was estimated that more than a dozen skyscrapers (hotels, commercial and residential) will be completing soon within the next 6 months. For offices, there'll be an additional 3 million of space coming into the market in 2011. A drawing of a potential 100-storey Warisan Merdeka. The megatower will start in 2011. 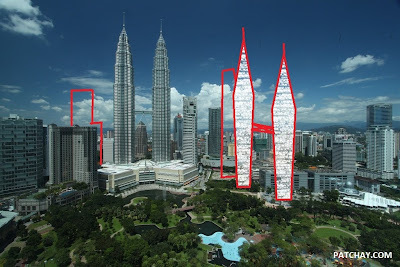 But it isn't the only megatower in KL, as many were already proposed in the past. In fact, this is in tandem with the overall expected economic growth and business expansion of corporations. And for most parts of Asia, the trend seems to show similar robust in both the construction and property industry. Many recent property launches were taken up impressively. The REIT, in particular, has gained some momentum in Malaysia over the last few years. 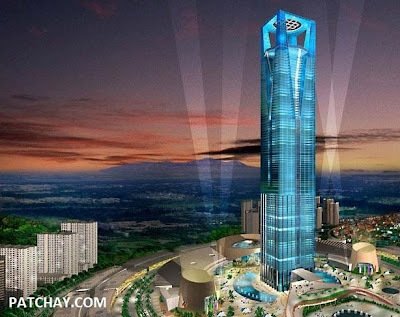 Berjaya Group's vision: A 108-storey tower at the site of Selangor Turf Club. According to a latest report by CB Richard Ellis Malaysia, the current overall occupancy rate of office space in Kuala Lumpur stands at approximately 86.6% (June 2010). The Petronas Twin Towers has had close to 100% occupancy rate for several years (might have dropped in recent months due to lease renewals). This has prompted its owner, KLCC Holdings to construct a new 59-storey building next to the Twin Towers for Petronas' expansion plans. Sooner or later, someone will propose to build another tall and iconic landmark. Like other Asian cities, the rise of skyscrapers is a symbol of prosperity and wealth of the nation and the upper class society. 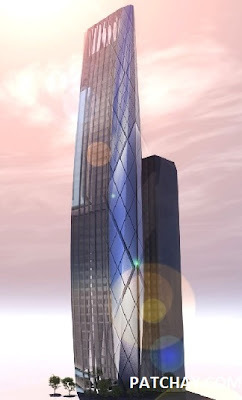 Cesar Pelli, the Twin Tower designer will be designing another landmark next to it. The project will start in 2011. It is widely believed that despite the higher-than-expected occupancy rate, average rentals per square feet for both commercial and residential continue to fall due to competition from new supplies and higher requirements by tenants. Selected tenants who can afford higher rentals have continued to be much sought after, but the intense competition have forced owners to offer better deals and an option to upgrade based on the needs of their tenant. 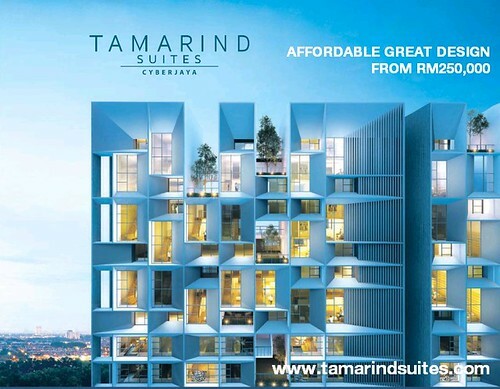 It is worth noting that the demand for GREEN buildings is growing fast and unfortunately, many buildings in KL would not satisfy this requirement. Besides Warisan Merdeka, PNB plans to redevelop former MAS Building, also in 2011. 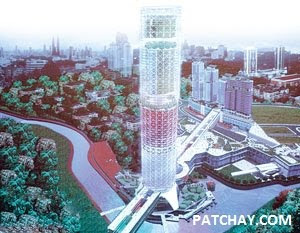 The proposed Tamansari Riverside Garden City will feature KL's first 60-storey revolving tower. Further, office space in Kuala Lumpur remained among the lowest in Asia Pacific and globally, at a total occupancy cost of around USD 26 per square feet annually. Nobody will know exactly how long Kuala Lumpur will remain at that level. Nobody will know exactly how successful Kuala Lumpur would be in attracting new global investors. 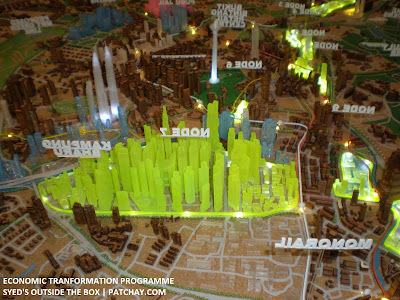 These models of Kampung Baru depicted higher density than Hong Kong. The government's recent announcement of megaprojects have further deepen the anxiety amongst investors on the directions of the city's future market. People on the streets began talking about a potential bubble and an oversupply situation that could reduce the attractiveness of doing business in Kuala Lumpur. Patchay.Com believes that more details of those projects announced should be provided from time to time to maintain the confidence of the business community. Megaprojects should be carried out in the most transparent manner as it may involve a huge amount of public-sourced funds, either directly or indirectly. Transparency and accountability are the key points. Besides KL, Petaling Jaya is fast catching up with privately-funded megaprojects. 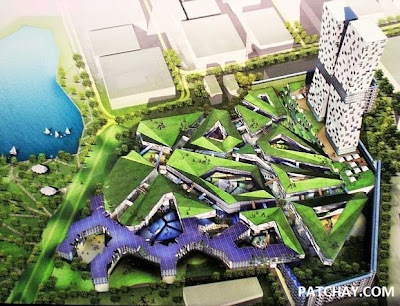 But the developer will be PKNS, a state-owned agency, that is now planning to create a niche in integrated mixed development. Patchay.Com firmly believes that megaprojects are not the only option to kickstart a stagnant economy that was prevailing from previous years. Megaprojects are needed as well, but not to the extent of de-prioritising other pressing needs such as funding for a good public transportation system, not just rail, but also busses. 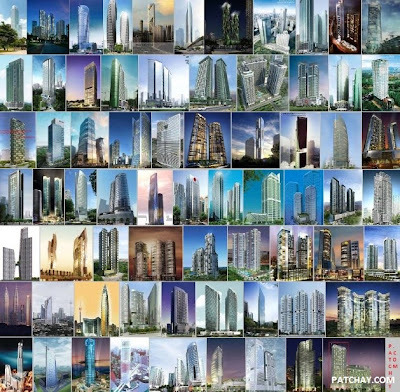 Current planned, proposed and under-construction towers in KL alone. Like other Asian cities, the rise of skyscrapers is a symbol of prosperity and wealth. Lastly, despite having provided for a RM40 billion MRT system Patchay.Com believes what is more important is to speed-up its implementation by reducing "systemic" bureaucracy and to integrate with existing infrastructure. "For the benefit of all, a really large economic impact is akin to building 5 lines of MRT, not as compared to building a 100-storey building." The author is young and passionate with innovative ideas being used in enriching new communities. He is currently attached with one of the global Big 4 accounting firm. He is also an independent urban development commentator on Skyscrapercity.Com, a global urbanity online platform. The author can be contacted at patchayik@yahoo.com. Fully support opinion. It had to write.